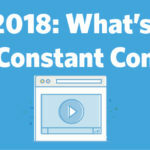 ﻿ July 2018: What’s New with Constant Contact? » Red Mango Marketing! July 2018: What’s New with Constant Contact? Summer is in full swing, and the weather isn’t the only thing that’s heating up. It’s time to check out the hot new enhancements to Constant Contact! Segments: Coming soon! Get better results using targeted emails with our new Segments feature. Resend to Non-Openers: Schedule an email to automatically resend with an updated subject line to contacts who didn’t open it. Branded Templates: Grab your logo, colors, and social media links from your website and use them to create a reusable email template. The post July 2018: What’s New with Constant Contact? appeared first on Constant Contact Blogs. This entry was posted on Thursday, July 12th, 2018 at 8:00 am	and is filed under Email Marketing, News & Updates. You can follow any responses to this entry through the RSS 2.0 feed. Both comments and pings are currently closed.